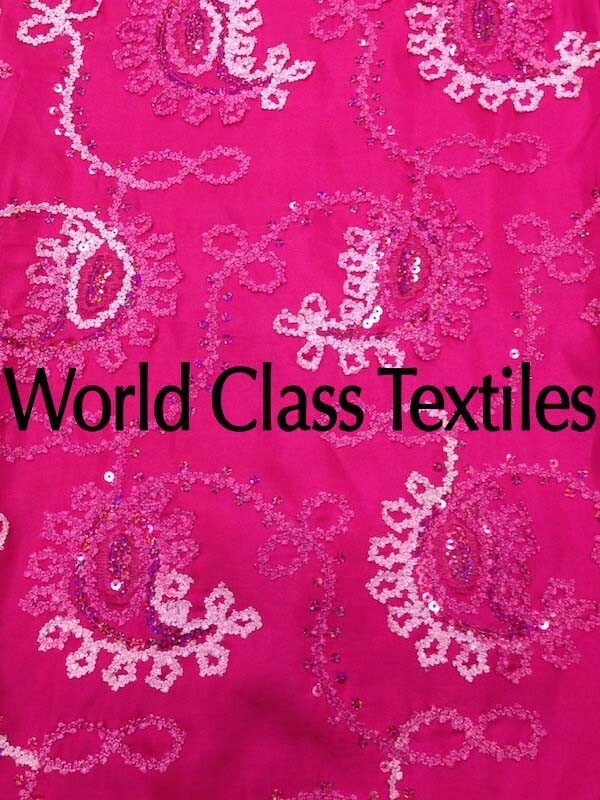 Taffeta Embroidery Paisley is a beautiful taffeta fabric which has a paisley shaped embroidery sewn on it with thread and sequins. This fabric is commonly used in event decor including tablecloths. This fabric is also used in the apparel industry.